Here it is! Valentino Rossi, the nine times world champion of Moto GP, has signed a new and exciting line of on-the-go lifestyle products by Packard Bell. All those who love exclusive, unique, topperformance objects won’t do without the first model of the series, the brand new dot VR46 (Limited Edition). 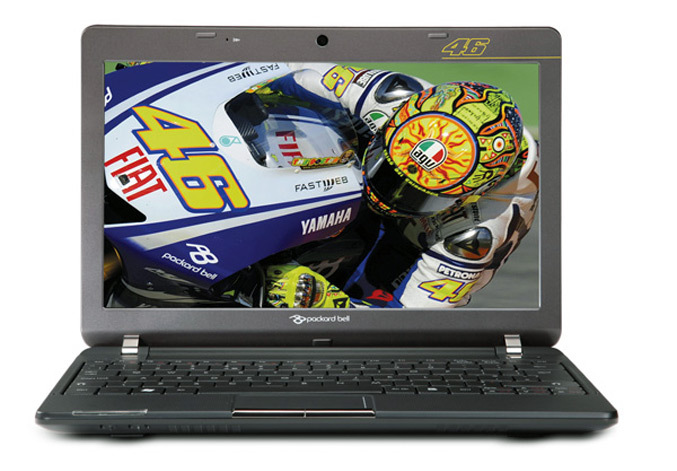 Addressed to Rossi’s fans and fashionistas who want a unique personal netbook sporting high performance, it has been designed by Aldo Drudi, Valentino Rossi’s graphic designer. 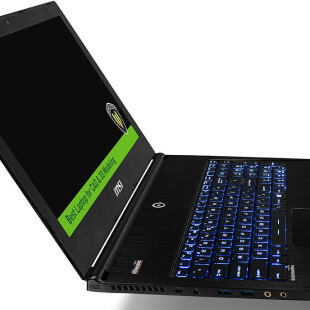 It’s a must-have device: forceful style, swift and brimming with vitality, it evokes the brightly coloured world of Valentino Rossi and the universe of Packard Bell users. 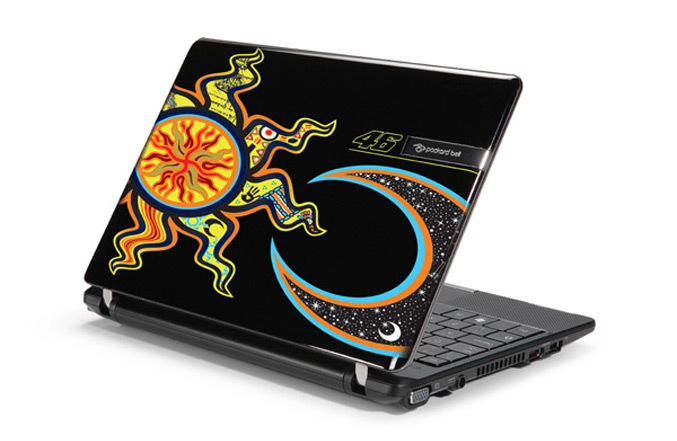 It’s impossible to go unnoticed with this netbook with you. The cover features Valentino Rossi’s pattern: the renowned “the sun & the moon” stands out on the NightSky Black cover as on the Valentino’s famous helmets. It’s Rossi’s trademark and represents the two sides of Valentino Rossi’s personality. Each ray of the sun stands for one of the 5 continents where MotoGP races. 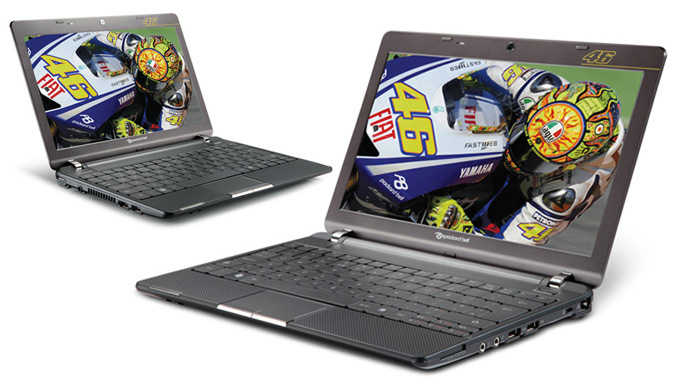 The well-known “46”, both on the cover and inside the netbook, is “the” number with which Valentino has always raced (and the number his father also raced with). The dominant fluorescent yellow is one of Valentino’s favourite colours. Vibrant colours – Yellow, Orange and Red – are blended with Sky-blue and White. Great liveliness and joie de vivre breaks out of the glowing black setting. This 11.6-inch netbook is less than one inch thin and weighs just 1.35 kg; it fits in any purse, bag or hand luggage. You can easily bring it with you and let it become part of your everyday style. Videochat with all your friends while having a drink in your favorite place or resting in a park, enjoy its built-in webcam, microphone, Windows Live™ Messenger, and long-range wireless setting: You can always stay connected and don’t miss any event. The dot VR46 is the perfect companion to share contents and fun with your friends: show everybody the high-def pictures of your holidays on the HD screen, or enjoy all together movies or Internet clips featuring MotoGP races and more. 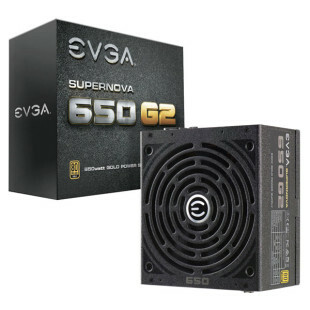 It’s a perfect entertaining device that will make all your events a success. The incredible dot VR46 will be coming soon to the UK, starting at £449.99.